The Georgia Tech Alumni Magazine, Vol. 89 No. 1, was released, which incorporated a section on Innovation highlighting recent breakthroughs from faculty, staff, and alumni. Included was the ingenious invention of the Bike Tow Leash by Mike Leon, BME '85. The Bike Tow Leash is a leash that attaches to a bicycle, allowing someone to safely walk a dog while riding a bike. It clamps low on the bike near the rear axle. It automatically communicates bike speed and direction to the dog without tipping the bike or tangling the leash. Leon and his wife raise and train service dogs with a Labrador of their own. As are most Labs, theirs was one with endless energy. While Leon biked his kids to school, he wanted to take the dog along to exercise him. When he couldn't do so safely, like any helluva engineer, he decided to build the safe solution himself. Leon used his knowledge of physics to create a leash that would prevent tipping even if the dog lunges. 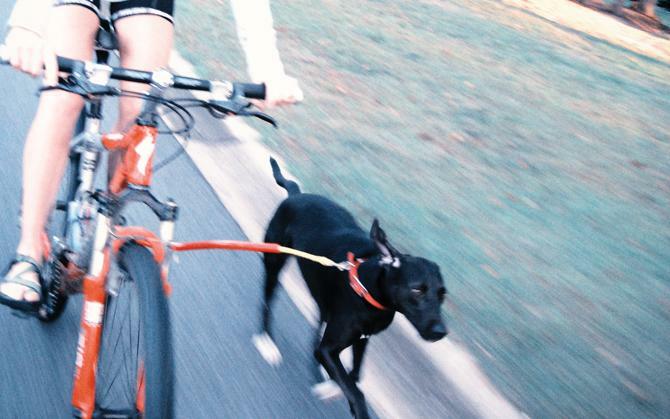 The Bike Tow Leash is essentially a prosthetic arm that guides the dog. The device earned the American Pet Association’s five-star rating and was featured as an editor’s choice in Dog Fancy magazine. “The responses to the Bike Tow Leash have been fabulous from the people who use them,” Leon says. Read more from the Georgia Tech Alumni Magazine.